One of the giants of 20th century photography, Paul Strand’s lifelong dedication to the medium helped establish photography as both an artistic and political force to be reckoned with. 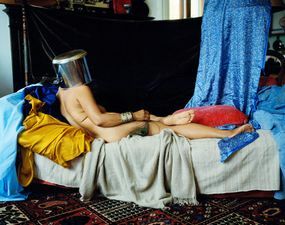 In the first major retrospective of his work seen in the UK in over 40 years, the Victoria & Albert museum in London presents a most extraordinary photographic career in its entirety. Young Boy, Gondeville, Charente, France. Paul Strand, 1951 (negative), mid- to late-1960s (print). From “Paul Strand: Photography and Film for the 20th Century” held at the V&A from 19 March – 3 July 2016, supported by the American Friends of the V&A. The exhibition follows Strand through his life’s fascinating journey. 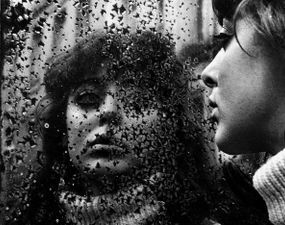 His frequent questioning of the photographic medium, his deep affinity with humanity and his unique blending of fine art and social commentary are all explored, highlighting his since-neglected brilliance. From the beginning, though, Strand typified genius. Tipped by his mentor Alfred Stieglitz as “photography’s future,” his early works are carefully explored. 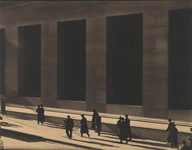 From his first experiments with Pictorialism and abstraction, to the socially influential images of New York in the 1910s, the multiple sides of his oeuvre are on display from the start. 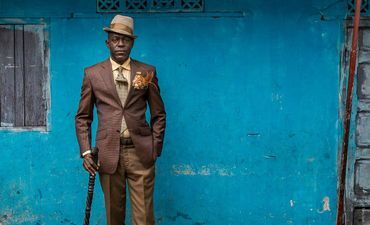 We even catch some of his collaborative, political film-work and some glances of the intimacy of his early portraiture, which speak to his lifelong diversity of expression. His films, for example, offer yet another avenue to appreciate his image-making abilities. Often shot like still frames, these flickering images brim with life. Presented along with photo-books and some of Strand’s original cameras—we can’t help but admire Strand’s versatility as an artist. 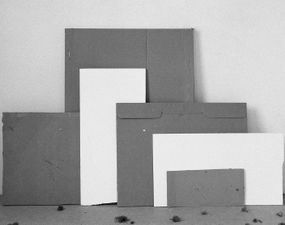 Cumulatively, his work reveals both his deeply inquisitive nature and the tenacity with which he sought to make his photographs and subjects accessible. The Family, Luzzara (The Lusettis). Paul Strand, 1953 (negative); mid- to late-1960s (print). © Paul Strand Archive, Aperture Foundation. From “Paul Strand: Photography and Film for the 20th Century” held at the V&A from 19 March – 3 July 2016, supported by the American Friends of the V&A. Besides breadth, the exhibition also highlights the remarkable depth to Strand’s ever-evolving career. On the artistic side, his unique commitment to the progression of his medium—seen through his gelatin and silver print-making, adaptive camera formats and ever-evolving work methods—is clear throughout. Politically, Strand’s extensive work in New England and Mexico show how he became driven to use photography to reflect his socialist, humanist leanings. This transformative application of photography—as a tool for social reform—becomes synonymous with his interest in working-class living. The two are thoroughly investigated throughout the exhibition. The V&A pays particular attention to Strand’s later work as well. The collection of images from 1950 onwards—of which the museum has acquired nine in recent years—uncover the striking longevity of Strand’s career. In his later years, he was driven to investigate remote, traditional regions threatened by global modernisation, including the Outer Hebrides, France and Italy. Equally compelling for Strand were his socialist ideals, which led him to document newly formed socialist governments in Ghana and Egypt, as well as Soviet Romania to try and appease US-Soviet relations. Wall Street, New York. 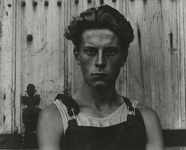 Paul Strand, 1915 © Paul Strand Archive, Aperture Foundation. From “Paul Strand: Photography and Film for the 20th Century” held at the V&A from 19 March – 3 July 2016, supported by the American Friends of the V&A. 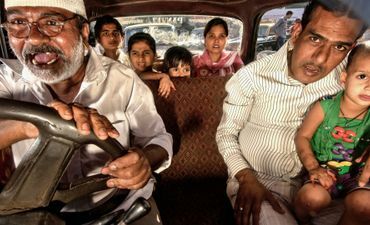 Living with each community for months, these projects offer subtle but poignant expressions of people and place while also foreshadowing today’s involved documentary practices. Even in the hey-day of the Decisive Moment, Strand immortalized the profound essence of human diversity and dignity with his later works, continuing long into “retirement” before his eventual death in 1976. Paul Strand: Photography and Film for the 20th Century is a long overdue homage to a man’s utmost dedication to his craft. His continual experimentation and vast scope, combining fine art with political pragmatism, left 20th century photography remarkably richer. Editors’ Note: Paul Strand: Photography and Film for the 20th Century was shown at the Victoria and Albert museum in 2016. 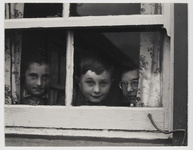 LC: Can you introduce us to the exhibition and describe what first attracted you to Paul Strand? 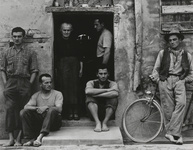 MB: The exhibition is a major retrospective of Paul Strand’s work, the first in Britain for over 40 years. The show is organized chronologically and geographically, following Strand’s career from the early years in New York in 1915 right through to his death in France in 1976. He dedicated his entire life to photography, and all 60 years of his career are displayed in the exhibition. One of the things that attracted me to the work was that dedicating your life to the medium is a remarkable thing to do. 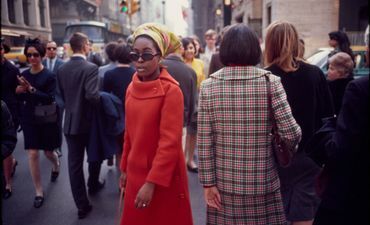 I was also attracted to Strand due to his work spanning the 20th century, throughout many pivotal moments in history and in many different places: America, Canada, Mexico, Africa, the Middle East and Europe. I really wanted to investigate that career in depth, to spend time looking at work you know is great work and to understand why. I wanted to unpack the story of Strand’s life and work and share that with the public. Blind Woman, New York. Paul Strand, 1916 © Paul Strand Archive, Aperture Foundation. From “Paul Strand: Photography and Film for the 20th Century” held at the V&A from 19 March – 3 July 2016, supported by the American Friends of the V&A. LC: Was there anything in these works that surprised you, that was different from what you were expecting? MB: I was surprised by how Strand’s later career is just as exciting as his early work. For me, the revelation was the books, because they are not about a single print but a larger sequence of images. 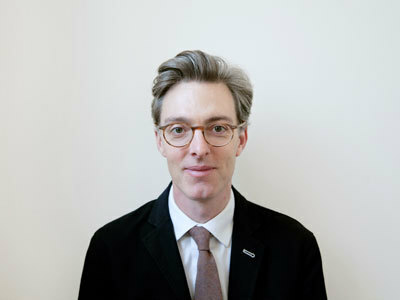 Strand really connects with his subjects through image and text, making an in-depth study of people and places by spending long periods of time in those places. He immersed himself in the environment and the landscape but was particularly interested in how these working-class communities—who had previously relied, for example, on long-established traditions of fishing or farming—survived the threats of modernization and post-war politics. For me, I learnt a lot about Ghana, about Scotland, about Italy and the immediate post-war years in many parts of the world. LC: Strand is renowned for his diverse career, which embraced various forms from abstraction to film; what drove him to frequently adapt his work to different genres and formats? MB: His idea was that the subject is not the artist’s emotion, but what is already out in the world. The adaptation of different camera formats largely depended on where he was working. He doesn’t have an immediate, signature style but that’s largely because he is changing formats. 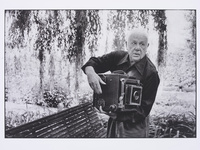 He made fine prints, photogravure portfolios, films, books and collaborated with writers, directors and filmmakers. He was trying all the different ways that he could make his images accessible, both to small audience and to larger audiences especially through film. From a contemporary perspective, Strand is a real textbook that you turn to for his approach to the many areas within the medium. It is really refreshing to see Strand’s continual questioning of the medium. He was always questioning what was the right format, the right print, the right way of distributing images to convey his message, something that really illustrates his intelligence as an artist. New Mexico. Paul Strand, 1930 © Paul Strand Archive, Aperture Foundation. From “Paul Strand: Photography and Film for the 20th Century” held at the V&A from 19 March – 3 July 2016, supported by the American Friends of the V&A. LC: Strand’s mentors, his affiliations with socialist activists and his early work in American modernism are largely considered the significant influences on his work. Was there any single influence that became clearer, or more apparent, to you whilst curating his work? MB: There are two or three major influences. In his very early years, the photographs of his teacher Lewis Hine and the close circle and gallery of Alfred Stieglitz are key. It was Hine who took Strand to the photography gallery of Alfred Stieglitz. 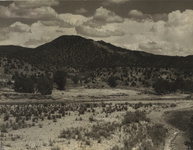 Stieglitz very much promoted the fine art of photography, the fine art print and the poetry of the photographic medium. He valued a kind of dynamic vitality in art, a sense of an energetic life force that could be an organising principle for the artist’s motivation. Stieglitz also championed modern artists such as Cezanne, Picasso and Braque which helped Strand understand pictorial abstraction and how to apply this to figurative photographs. These attitudes and philosophies stayed with Strand throughout his career. Couple, Rucar, Romania. Paul Strand, 1967 © Paul Strand Archive, Aperture Foundation. From “Paul Strand: Photography and Film for the 20th Century” held at the V&A from 19 March – 3 July 2016, supported by the American Friends of the V&A. The more overtly political side of Strand arrives later, during his trip to Mexico in particular, where he was invited by the government to make a film and work in education. This was when he became more involved in Marxist or communist politics. But his politics are elusive and hard to grasp. On the one hand, he believed in a pure socialism, while on the other he was interested in unique, expensive photographs that as a result often became accessible to only a small, niche group of connoisseurs. It’s difficult to reconcile—especially as his communism is mixed with a sort of humanism. Strand’s still photographs very rarely act as direct illustrations of his politics. His films are more politicized, as they involve explicit narratives of civil or workers’ rights. Strand was motivated to visit certain places, such as Mexico, Ghana and Romania, because he had sympathy with those political climates at that time. Milly, John and Jean MacLellan, South Uist, Hebrides. Paul Strand, 1954 © Paul Strand Archive, Aperture Foundation. From “Paul Strand: Photography and Film for the 20th Century” held at the V&A from 19 March – 3 July 2016, supported by the American Friends of the V&A. Overall, though, I see the driving force behind Strand’s beliefs as a kind of idealist humanism. He saw that there was more to connect diverse humanity than to divide us. Strand spent his later years working closely with communities to explore human dignity, choosing moments that were not instantaneous, like Cartier-Bresson, but instead reflect his slow and meditative perception of people and place. LC: How has Strand’s legacy of using photography as a catalyst for social reform affected the work of journalists and artists since? MB: I think you can see Strand’s influence in single pictures especially, where you can observe the stylistic approach. 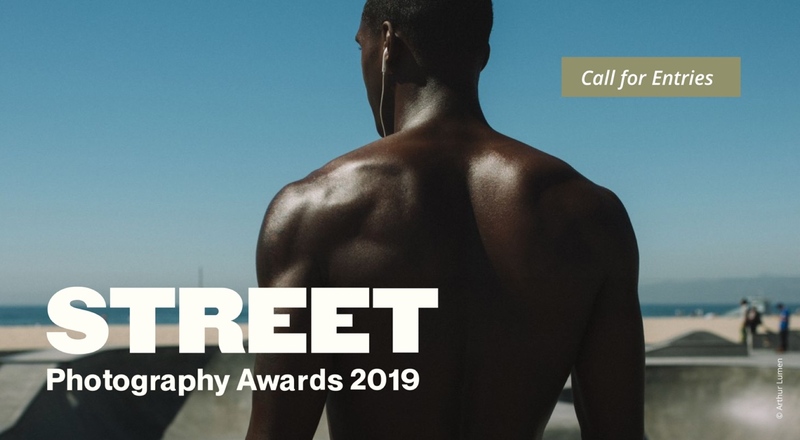 You can see these stylistic connections in Chris Killip’s early work in the Isle of Man for example, or in Philip-Lorca diCorcia’s street portraits. Still, Strand’s ambitious idea of how to approach photography—one that was so full of certainty and quiet conviction in the 20th century—may not translate completely into contemporary photography. Today, in our post-modern world, we are constantly having to question the sense of truth and beauty and interconnectedness that Strand had in mind. Rebecca, New York. Paul Strand, 1921 © Paul Strand Archive, Aperture Foundation. From “Paul Strand: Photography and Film for the 20th Century” held at the V&A from 19 March – 3 July 2016, supported by the American Friends of the V&A. But perhaps it’s coming round again. 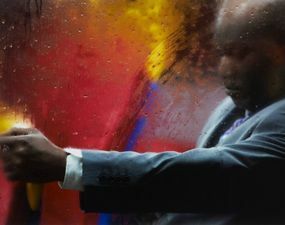 With the acceptance of common, basic origins, even within diversity, and the rise of mindfulness, the idea that it is helpful to slow down, Strand might be able to once more influence an approach to photography. He looked at the world in detail and his subjects with a certain dignity—perhaps we can do the same. Paul Strand Photographing the Orgeval Garden. Martine Franck,1974. © Martine Franck / Magnum Photos. From “Paul Strand: Photography and Film for the 20th Century” held at the V&A from 19 March – 3 July 2016, supported by the American Friends of the V&A. 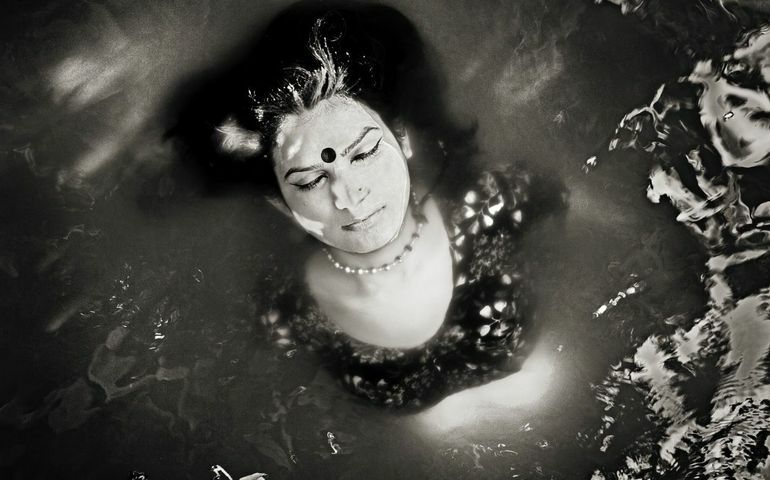 What else can photography uncover besides what is physically present in front of the lens? 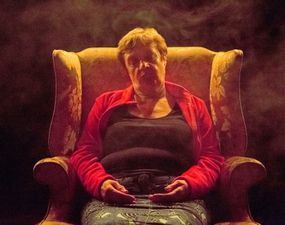 This 16-year project has criss-crossed the globe exploring the mystical, otherwordly beliefs of the Spiritualist community. Abandoned architectural spaces become minimalist sculptural meditations on light, material, texture and what remains. 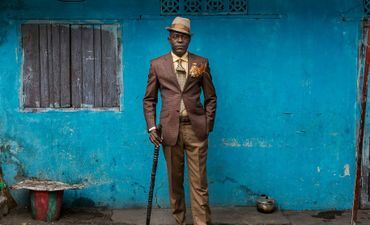 An independent and invaluable voice in the world of photography, The Guardian’s Sean O’Hagan offers his wide-ranging views on words, images and the increasingly overlooked key to creativity. 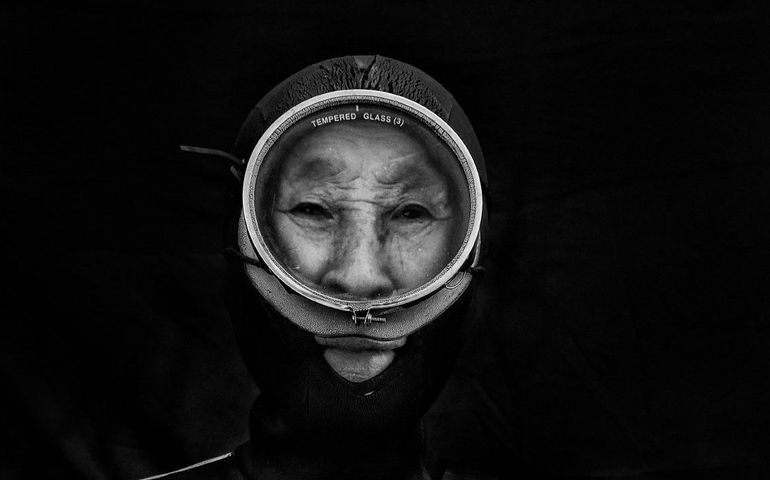 Aging but legendary fisherwomen from a Japanese island dive for abalone, using no equipment, in water up to 30 meters deep. They may be the last generation of their kind.